Layers of action figures, pumpkins, and superheroes, covered with a rich chocolatey coating! My Toy Review Rating Scale! 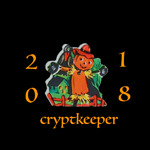 31 Days of Toy Terror! Oh the Horror! : Horror Movie Reviews! Articulation: Hinged ankles, boot swivels, hinged knees, swivel hips, swivel waist, swivel/hinge shoulders, swivel biceps, hinged elbows, swivel/hinge wrists, and a ball jointed head. * Before curb stomping this review (I don't care if it's banned! ), I do want to point out how cool the art is on these packages. I really like the zombie artwork for the WWE Zombies! The design team working on these is clearly having a great time and getting the chance to be creative. * I've definitely been repeating myself in a few of these reviews, but I really think Mattel did a fantastic job of capturing the Superstars' likenesses while still making these very much zombified figures. This is an excellent Seth Rollins likeness and I'm really digging the work on the hair and bear. I'm also pretty impressed with the broken jaw and the tongue lolling out. It's a nice, semi-gruesome detail. * For the non-WWE collectors, Mattel essentially has two different product ranges: Basics and Elites. Elite figures have more articulation, like a Marvel Legends figure, while Basics are missing the mid-torso hinge and have less hip articulation. While these Zombie figures are basics, they still have a lot of nice movement and feel like solid, durable figures. They look great on display and are really fun to play with. Being zombies, I'm completely OK with these guys having the Basic articulation. * One of the best things about the WWE figures is that they really strive for accuracy when it comes to capturing tattoos (even on the zombies). The seven principles of Bushido are very clear on his back: Integrity, Respect, Courage, Honor, Compassion, Honesty, and Loyalty. Interestingly, hustle is not listed. I guess the Samurai left that one off. * While Seth's upper torso doesn't show any zombie damage, Seth's right leg is almost completely torn up. There's some excellent detail and paintwork here to give things a funkier, grimier appearance. While photographing this I noticed that there is an unusual looking split in the plastic. What could that be...? * Oh my gosh! Seth's lower right leg and foot is a removable piece! Like Brock Lesnar, Seth Rollins has a removable limb feature that isn't advertised on the packaging. It's pretty cool that this is there. Is it possibly a play on Seth's disastrous November 2015 leg injury? Maybe. * If Seth's right leg is bad, his left is even worse: It's showing off not just a bunch of cartilage but also some bony toes. Again, I'm thrilled with the level of detail here as these really remind me of some of the older McFarlane figures from the late 1990s/ early 2000s and Toy Biz's Resident Evil line. I'm also a huge fan of this outfit (Seth debuted it at SummerSlam 2015) and I love the contrast between this celebratory white and gold outfit and the bloody, grimy zombie flesh. * My guess is that the reasoning behind the "SR" on Seth's belt buckle being crooked is that it is intended to look like his belt is kinda messed up. I'm not liking it, though. Without more detail than we have now it just looks like a QC error. Seth is another Great figure in the WWE Zombies line. While he's lacking lots of zombie detail on his chest and arms, his legs are incredible (especially the removable right leg) and the broken jawed headsculpt is pretty cool, too. If you're going to build the zombie Shield you'll need Seth to hang out with Dean Ambrose and Roman Reigns. There's only one figure left to review in this series and he's coming soon. Guess who? Looking for more Seth Rollins figures? I've reviewed a few including the Elite series 37 Seth Rollins, the Elite series 45 Seth Rollins, and the Toys R Us exclusive Seth Rollins (Seth Cashes In!) based on his incredible Wrestlemania 31 moment! Start Your Epic Wardrobe Today! 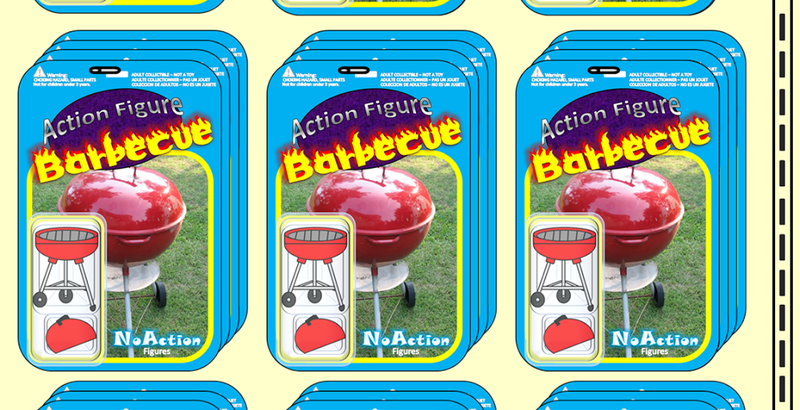 "This website, Copyright 2017, Action Figure Barbecue.com . All Rights Reserved.". Simple theme. Powered by Blogger.